Manchester United supporters were elated with the performance of midfielder Paul Pogba, who became the catalyst of the club’s 3-2 Premier League comeback win over Newcastle United on Saturday. United found themselves in a heap of trouble after the Magpies scored twice in the opening 10 minutes and the scoreline remained the same as both teams headed into the half-time interval. However, following the break, there was an evident step in terms of the performance levels and Pogba was one of those who stepped up his game after Mourinho decided to play him in a deeper midfield role than his usual position. The Frenchman did not manage to find himself a goal during the sublime comeback but he was responsible for the providing the assist for Anthony Martial’s equaliser before Alexis Sanchez bagged a headed winner. I hope journalists cover that performance of Paul Pogba, because although he supposedly has a fractured relationship with Mourinho, he came out after half time and grabbed that game by the scruff of the neck today. He was incredible. Manchester United fans may not want to hear this, but Jose Mourinho playing Paul Pogba at CB in the second half changed the game. Pogba orchestrated the second half and changed the game. Top performance from the Frenchman. Mourinho's changes worked excellently, really. 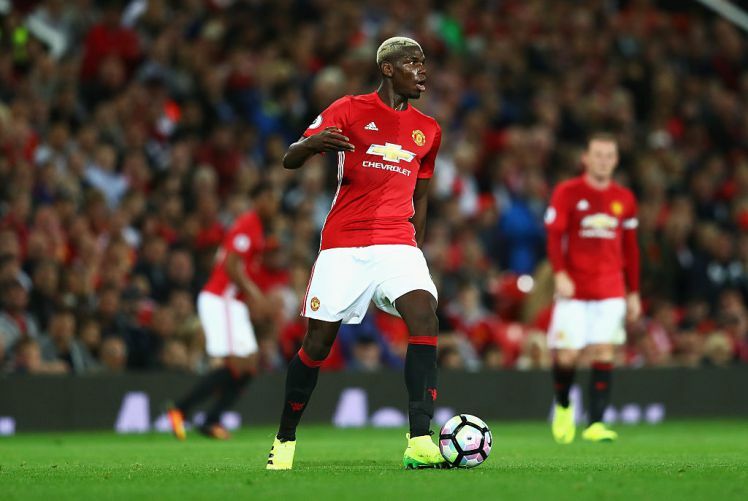 Pogba was very effective in the deep midfield role. Paul Pogba. I'm sorry but he's my baller. He's so good. Players like this should never be made to change who they are. The more often we attack..the more often Pogba shows his class. Still a massive Lukaku problem. He shudnt be at RW when we need a goal. Proud of everyone but Pogba has given his life on the pitch today. Unlike in recent matches, United showed a better intent in attacking the opposition during the second period but it could be said that there were left with no choice after the shambles before the first half. The comeback triumph has, for now, saved Jose Mourinho from the potential axe but the club need to get on a winning run at the earliest, if they are to get the season going and achieve the minimal aim of reaching the top four.